North Korea is one of the most closed societies in the world. A dynastic police state constantly watches citizens and brutally stamps out any sign of dissent or civic activism. Amid the denuclearisation talks in Vietnam between North Korean leader Kim Jong Un and US President Donald Trump in February 2019, the authorities increased restrictions. In recent months the North Korea authorities have cracked down on foreign media content and increased video surveillance at the China border. 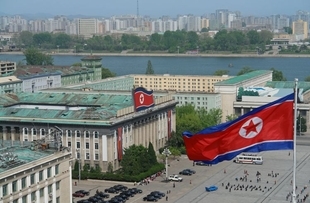 According to the Democratic People’s Republic of Korea’s (DPRK) constitution, the freedom of association is guaranteed, however independent civil society groups do not exist. According to the Democratic People’s Republic of Korea’s (DPRK) constitution, the freedom of association is guaranteed, however independent civil society groups do not exist. The few civic groups that do exist are organised and controlled by the government. Given the dire situation for associational freedoms, all independent North Korean human rights groups operate from abroad. The pervasive social control by the authorities over the private lives of North Korean citizens makes a vibrant and independent civil society impossible. No political opposition to the ruling party exists. Furthermore, there are no labour unions within the country. Organised labour activities such as strikes and collective bargaining are illegal in North Korea. There is no concept of homosexuality in North Korean society, and LGBTI people are forced to hide their sexual orientation or defect to South Korea. Other than state organised assemblies honouring the supreme leader on special occasions, independent gatherings are prohibited – despite constitutional guarantees. Other than state organised assemblies honouring the supreme leader on special occasions, independent gatherings are prohibited – despite constitutional guarantees. In theory gatherings must receive approval from the authorities but in practice they are non-existent. The movements and activities of the people of North Korea are strictly monitored and all acts that denounce the supreme leader or the state party result in political imprisonment and/or public execution. International groups estimate that 1,382 people have been publicly executed in North Korea in the period 2000 - 2014. An extensive network of community spies provides information to the regime on the loyalty of North Korean families, making community or issue-based organising virtually impossible. All media is state-controlled within North Korea and there is no independent journalism; all content is pre-verified by the government. All media is state-controlled within North Korea and there is no independent journalism; all content is pre-verified by the government. Journalists face the risk of dismissal, detention or imprisonment by the government if they dare to exercise their right to freedom of expression. People in North Korea are prohibited from having access to foreign media. Smuggled mobile phones and USB sticks can offer North Korean citizens a small glimpse of independent media. There is no open Internet access, while online content is only available through a state controlled intranet. The Korea Computer Centre only permits government authorised sites to be accessed through the intranet. Even this is not available to all people in North Korea. Full internet access is only available to some governmental officials and elites.